Guy, I think, is pretty well known to most of us, having served on the BA Christian Booksellers Group (BA CBG) for longer than I suspect he cares to remember during a career in retail that’s taken him from the Crusader Book Centre through St Andrew’s to Quench before his retirement at the end of 2011. Still actively involved with the Good Bookstall and Speaking Volumes (Christian Book Promotion Trust). 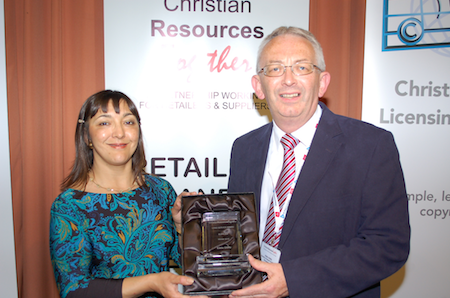 At the awards ceremony of Christian Resources Together, a trade fair for retailers and suppliers held 12th-13th June at The Hayes Conference Centre (Swanwick), CLC was chosen as Distributor of the Year and also as Retail Group of the Year. Both awards came as a surprise to the CLC folk at the event! They will certainly serve as a great encouragement to us all as we go about our daily tasks, seeking to get trustworthy resources into people’s hands so that lives are transformed. National Director Phil Burnham accepted the Retail Group of the Year award on behalf of the team and paid tribute to our full and part time retail staff who, through their time and effort, have got us to where we are today. He also thanked the Christian trade for their prayers for the ministry. Via this webpage, we would also like to make a special mention of the great work done by Geoff Fanning, our Head of Retail, who has had the sometimes onerous task of overseeing 21 bookshops and their teams. The past year has been exceptionally busy and challenging: we have relocated three bookshops (Inverness, Leicester & London) and have refitted one (Kingston), staff shortages (some due to illness or holidays) have brought about all sorts of creative solutions across the miles, and the many supply chain offers and changes have been little short of mind-boggling. Chris Magee, our Head of Wholesale, accepted the Distributor of the Year award on behalf of the warehouse team. In his words of acknowledgement and thanks, he spoke of the commitment and dedication of the warehouse team, of their love for the Lord and for what they do in serving our valued customers. Lion Hudson is delighted to announce that we have once again been awarded Publisher of the Year at the Christian Resources Together 2012 Awards, sponsored by BA-CBG. This is the third year in a row that we have received this prestigious award! We were also very proud to see The One-Stop Bible Atlas by Nick Page win the Reference Book of the Year award, sponsored by CLC Wholesale. Topping the bill however was Pat Alexander, original co-founder of Lion Publishing, who was honoured with a special Outstanding Contribution to Christian Publishing award, sponsored by the Association of Christian Writers. Pat and her late husband David Alexander created the bestselling The Lion Handbook to the Bible. 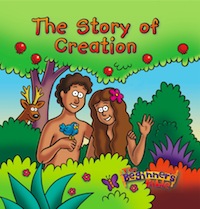 Pat is also the author of a number of Lion Children’s Books titles, notably the The Lion First Bible. Jim Mckee, Bookshop Manager, has updated his facebook profile photo with a shot of himself holding the award certificate: “This is for all the wonderful staff in portadown fm Bk shop and. Coffee shop…” (you may need to be on Jim’s friends list for access). Many congratulations to Phil and all the team at Origin, who are my local Christian bookshop. They are hard-working, helpful, friendly and look to find new ways of connecting this important ministry with the local church. A thoroughly deserved award! Great coverage here Phil, you have done an amazing job, just wanted to say thankyou for putting all of this together with so many links and helpful websites, where would our trade be without you! It was a great 2 days and I hope that next year even more of us can make it and take part. To God be the glory, through whom all things are possible and by whom nothing is impossible.